Avigilon believe powerful software doesn’t have to be complicated that's why they've re-engineered Avigilon Control Center from the ground up to be easier to use with an improved system explorer and simplified software functions. 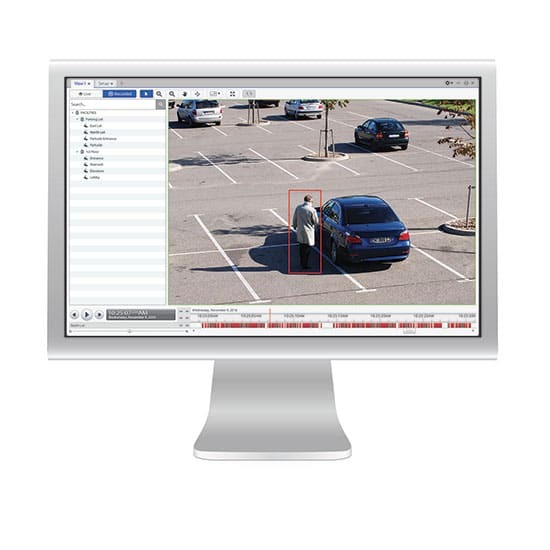 Avigilon Control Center provides award winning, advanced artificial intelligence and video analytics capabilities, including Appearance Search™ technology and Unusual Motion Detection technology, to help you quickly detect, verify and act on events. It was designed with openness in mind and though it is advanced, this sophisticated, deep learning AI search engine tool is easy to use and allows you to easily integrate with other leading camera and hardware devices. Avigilon video management software is available in a variety of versions and appliances, which can be viewed here. You can integrate Avigilon with existing legacy systems, including access control and building management. The distributed architecture with .NET based API makes it easy. Operate and maintain a single interface and save on training and maintenance costs. ACC Mobile lets you monitor your system remotely over any wireless IP network using any Apple or Android device and view live and recorded video from any location with a wireless connection reducing response times. Zoom in on objects to get unparalleled image detail. Read numberplates from across a car park. All with Avigilon Control Center and HDSM technology. Avigilon’s most recent Control Center software is version 6.10. This award winning technology has some key features, which can viewed on our product page here. If you would like to learn more about Avigilon, the team at Ecl-ips can support you with any questions you may have so please get in touch.